FUNDRAISING FUN FAIR AND ESDM CERTIFIED THERAPIST INFORMATION! We are putting on a fundraiser! Please come and celebrate ABA Learning Centre’s 15-year anniversary while helping us raise money to expand our centres and keep costs manageable for you, our families. Loads of fun & laughter!!! It is a FUN fair after all! FUN personalities! Batman’s making a visit (and several other guests)! Concession Stands/Food Vendors – Hot dogs, cotton candy, popcorn, & more! A 50-50 and a silent auction with great prizes! We will have fun activities for kids of all ages so please come and support our event! We are looking for parent volunteers for the event and ask you to please spread the word to any other organizations and individuals you can think of for donations. To RSVP and purchase your tickets: Please contact 604.232.4122 or email legacy@abacentre.ca (donation inquiries can also be sent to the same contact number and email). 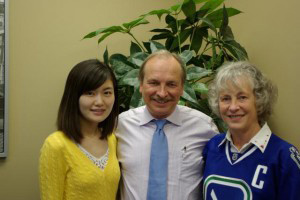 We are pleased to announce that we have two Behaviour Consultants(BCBA) who are certified ESDM therapists. The Early Start Denver Model is an evidence-based, comprehensive, play-based approach to teaching toddlers and preschoolers with autism spectrum disorder (ASD). ESDM uses play to increase children’s interest in activities and people and improves their language and communication skills and self-expression. The focus is on communication, relationship skills and play. Language and communication taught inside a positive, affect-based relationship. ASD Summer Jamboree Program 2019! Jamboree is an amazing opportunity for children on the Autism spectrum to gain experiences and engage in opportunities in a wide range of social and community skills. Certified BCBA’s/BCaBA’s run the program and all other program leaders have extensive experience in ABA, Verbal Behaviour and working with children with Autism. This 9-week social group is aimed at teaching introductory social skills to children with Autism Spectrum Disorder. Curriculum is based in part on work by Michelle Garcia Winner (Social Thinking). The program is run by a Board Certified Behavior Analyst and includes parent involvement sessions. For more information please visit our website page for Teach Me To Be Social! PEERS (Program for the Education and Enrichment of Relational Skills) is a 14-week social skills program that teaches middle and high school students, with high functioning autism or Asperger’s Syndrome, to make and keep friends. LOCATION: Squamish Public Library (Multi Purpose Room), 37907 2nd avenue Squamish, B.C. We have a new Burnaby location for school this fall! Dr. Suzanne Jacobsen’s Autobiography on Her Family’s Journey Advocating Her Son Just Released! An eBook versions is also available. ABALC translates the ABLLS-R into Chinese! ABALC Program Supervisor, Bella Chan, has been working with Dr. James Partington to translate the ABLLS-R into Simplified and Traditional Chinese. Dr. Partington visited ABALC in April to review the translation, visit our programs, and do a presentation for families of children with autism.